Yo, it’s Flo here. I’m Lucille Mazzarella’s best friend and have been since second grade. We know everything about each other—well, almost everything. I did keep a sort of big secret hidden from her for quite awhile. At first I thought she wasn’t going to forgive me, but we’re like sisters, you know what I mean? Nothing’s going to come between us…ever. Yeah, we have our fights, but we always make up again. Lucille has the biggest heart in the world even if she can be a bit naïve at times. I’m always trying to get her to fix herself up, get a new wardrobe, but she prefers the tried and true like that old leather jacket her husband Frankie gave her back when they was in high school. I’d like to find a man like Frankie. I’m dating someone now, and I think this might be it. I’m afraid this might be it. Am I ready to settle down? Lucille keeps reminding me that we’re getting older, that we’re fifty now. Sheesh, fifty ain’t that old! Not anymore. But I know what she means—it’s nice to have someone to come home to at night, to snuggle up to in front of the tv, to keep the sheets warm at night. Who knows? If he asks I just might say yes. Lucille and I have been involved in catching a couple of bad guys—murderers. Who would have thought it? Here, in this quiet New Jersey suburb. But you never know what life is going to throw at you. You got to be ready all the time. It’s always something, you know? For middle-aged “Jersey girl” Lucille Mazzarella, only two things in life really count—her family and her friends. 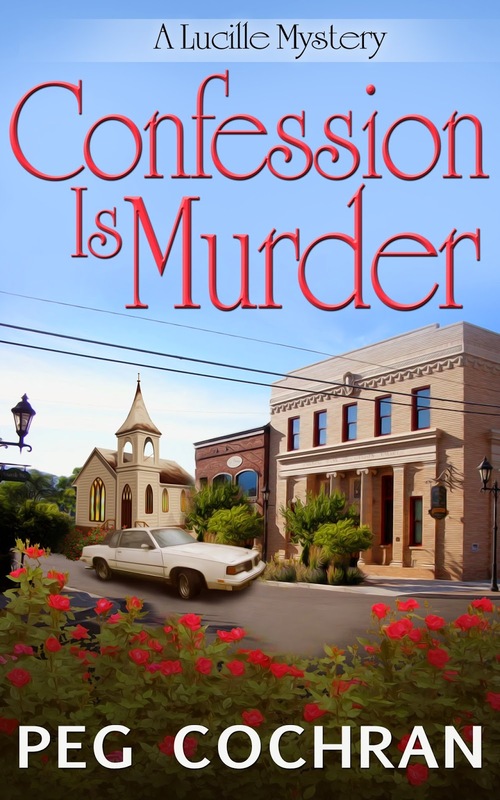 When her brother-in-law’s body falls out of a church confessional, everything she holds dear is threatened, especially when the police arrest her husband for the murder. killer and restore order to her life. The hilarious Lucille Mazzarella is back and planning a wedding. 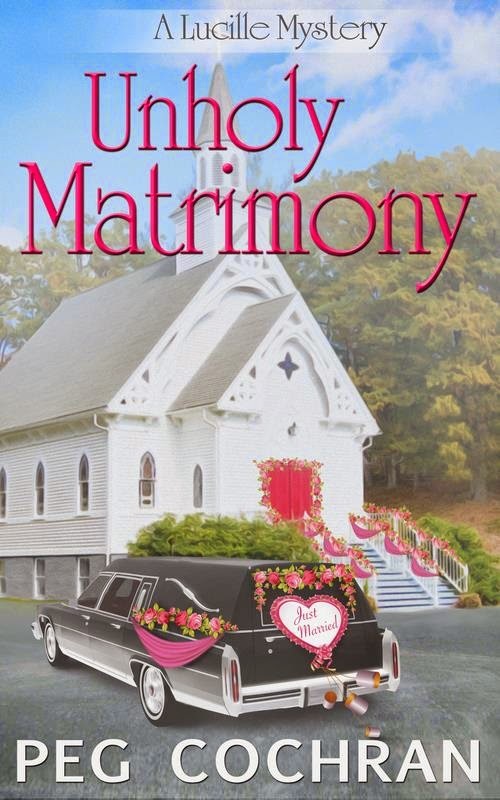 But even the worst Bridezilla can’t create the wedding drama she’s about to face in this second book in the series. Desperate to see her pregnant daughter Bernadette married before the baby comes, Lucille is engrossed in all things wedding. Nothing will distract her from planning this Mazzarella main event. Nothing, that is, except for the murder of the mother of the groom. These books look really good. I wish they were in print and not just e-books.....I can't read e-books. I just downloaded both books. I like this author's other series. So I am sure I will enjoy these two books.